Google is preparing to announce a new payment API called Android Pay, their latest attempt to convert the world to making payments using mobile phones. According to Ars Technica, Google will launch Android Pay at the I/O conference in May. The platform will mainly be used to power in-app payments for third-party apps, which will allow customers to safely upload their payment information into apps and make payments with a single tap. Any company using Android Pay will also be able to authorize tap-to-pay payments in high street shops using the Near Field Communications (NFC) technology built into many smartphones and smartwear. So what does this mean for Google's current mobile payments system, Google Wallet? According to Ars Technica's source, the two will work hand-in-hand, and you will be able to use your Google Wallet account as a payment method in apps that use Android Pay. The main advantage of Android Pay over Google Wallet is that it can be integrated directly into third-party apps, allowing for instant payments that are paid to the merchant via Google. This means that Google will be offering you extra convenience and ease of making payments in exchange for gathering more data about you and your shopping habits, so that it can become more effective at delivering targeted advertising - the company's main source of revenue. Are you happy to hand over your payment data to Google via Android Pay? Or do you think Google's already got enough information about you and prefer to keep your spending habits out of their hands? Let us know. 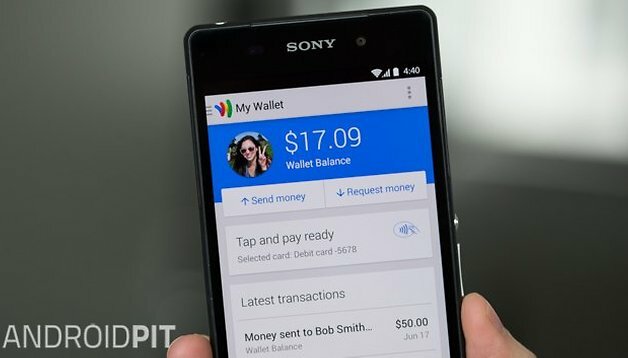 my opinion, why didnt Google just develop Wallet more or change it to what they going to use in Pay..? its pointless having multiple systems.. I would have rather like to have heard that Google Wallet will get revamped..Pay is just Wallet 2.0..
My problem with Google Wallet is if I use my credit card, I get points/rewards at either 1% or 2%. I get nothing with Google Wallet. Why have google pay- Isn't there enough pigging adverts appearing on phones already ?? Not for me- I keep ALL banking stuff- card info off my phone. I may be a dinosaur, but the least amount of companies who have my details, the better I like it. Nothing wrong with plain old cash for small purchases. Less is better and safer.